Spring clearing gives us such a liberating feeling! Whether cleaning indoors or outdoors, we end up with a lot of waste that we need to get rid of. When you clear your yard of leaves, dried branches, and other debris, you need to implement yard waste disposal in a green and sustainable way. So what are you options? If you want to check out garden crafts using recycled material click here. If you have plants, trimmings, and old sod left over after cleanup, you’re probably wondering if you should burn them or find an alternative. You can save or pot some of your plants or simply use them in another part of your home. You can even give them away, but you’re still going to have to dispose of the rest of the organic material responsibly. No matter what season it is, we always seem to have extra yard waste we need to deal with. Each year, disposing of small twigs, grass clippings, leaves, and larger branches is more strenuous work than we like to handle. In olden days, we simply tossed yard waste in with the kitchen trash and the garbage man hauled it away. Other dumped yard waste in some remote empty lot or burned it. In some households, leaf burning was another fun Saturday family activity. Nobody seemed to complain about this simple way of living. In recent years, however, regulations determined that we shouldn’t burn leaves because it pollutes the air. The smoke could also create serious problems for people with allergies, asthma, and other respiratory afflictions. Most urban centers banned burning, which led to landfills filling up too quickly. These relatively new laws posed new challenges to homeowners trying to do the right thing in terms of yard waste disposal. So what are your options? You want to balance saving time and avoiding all that labor, while also not paying a fortune to have your backyard waste removed. 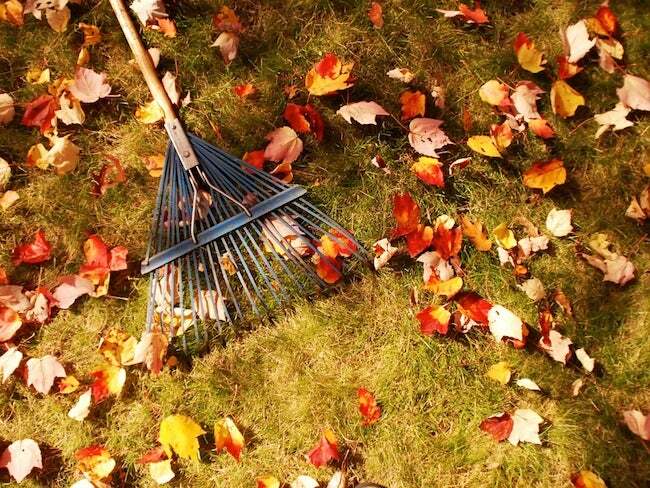 First, you should evaluate how much and what kinds of yard waste you have. Then, choose one of these legal and safe ways to dispose of your big branches, grass clippings, and dried leaves. Composting is a fantastic – and relatively free – way to use yard waste. It works great for brush, leaves, and very small branches, but don’t try to compost the larger pieces. You should either cut the bigger branches in smaller pieces and add them to the compost bin, or find some other disposal solution. The organic fertilizer resulting from this process makes composting a desirable use for most yard waste. You can also invest in a mulching mower for a green way to keep your lawn healthy. It costs around $150, but you should also take into consideration the expense of gasoline to operate the mower. A mulching mower doesn’t just mow your lawn; it also spreads the cut up grass clippings back into the grass. It’s not just easier for you, but also good for the lawn. You can also use it for other pieces of garden waste, but not from the thick pile. Those will clog your mower. Some municipalities have regular yard waste pick-up dates and they even advertise timeframes and dates when the service will be running in each neighborhood. These services typically require you to leave the debris in the driveway, on certain dates, in specific bags for yard waste. These bags cost about $3 each, so if you’re dealing with a lot of yard waste, the expenses increase quickly. Some people invest in a yard blower (around $55) to blow the leaves into these bags, which is significantly easier than using a rake. Take into consideration the value of your time to determine if this method suits your needs. Meanwhile, consider yourself lucky if your town even has a yard waste recycling center. Load your pick-up truck with branches and brush, drive to the center, pay the dumping fee, and let them deal with your yard waste. These centers grind it into usable mulch and sell it to people who want it. Even though most municipalities have a curbside removal service that will come pick up yard waste, not every town and city has implemented it. If you still want to dispose of your yard waste in a proper way, you can call sanitation. They should be able to help you with information about local practices. Oftentimes, they will point you to a drop-off location close by. It is worth knowing there is usually a limit to what they will accept. If you’re doing a lot of pruning, look for affordable yard equipment that eases the task of yard waste disposal. It may be a good idea to rent a wood chipper if you have some heavier branches to dispose of. This method is most suitable when a few neighbors or friends come together and schedule a specific weekend to collaborate and share the expenses. A wood chipper can provide you with fresh mulch for your yard. If you’re willing to make larger initial cash investment, you can purchase a chipper to ease your labor in the yard. If you deal with a big load of yard waste each season, it may be worth the money to invest in more powerful equipment. A wood shredder-chipper, for instance, can have a price tag of $200 or more for electric and $900 for gas-powered. Keep in mind that safety precautions are crucial when using powerful tools in the yard. Always use work gloves, and wear protective goggles or eyewear. Are you interested in delegating all this hassle to someone else? It may be more cost-effective to hire a crew or a yard waste disposal service to remove your yard waste and any other junk you want to get rid of. These hauling companies can hold a lot of waste, if that’s what you need. Search your local area for junk removal or yard waste services. They will haul your waste away to the dump or a recycling center. What About Burning Yard Waste? While some local laws may allow you to burn your yard refuse, we don’t recommend it. Burning emits pollutants and can lead to uncontrollable fires. If you absolutely must, make sure you follow the guidelines for disposing of waste this way. Again, if you want to check out garden crafts using recycled material click here.